I sometimes think I could never leave my house and still have a rich experience of the outdoor worlds through your photographs. Thank you for the double rainbow and all the gold. 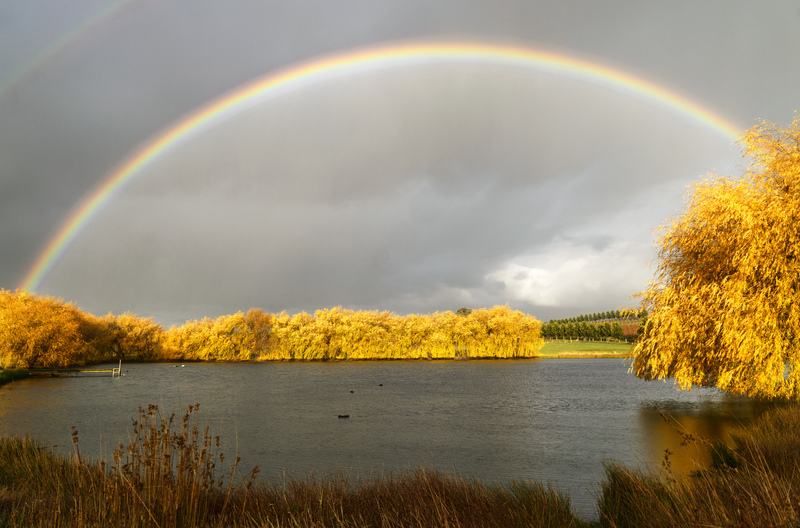 What a great rainbow image! A belated thank you very much! What a great shot, Lisa. (my own shot of these 2 rainbows from my balcony – yes they were in Melbourne City too – was very poor in comparison). Such a nice way to end your day. Thank you and sorry for the late reply!! Wow! Lisa – this is a super shot – those amazing colors works perfect with the rainbow.